The Marushin Mateba is exactly like the real steel version when it comes to the way it functions..
Comes with a 6 cartridges. The barrel is aligned with the bottom of the cylinder instead of the top. 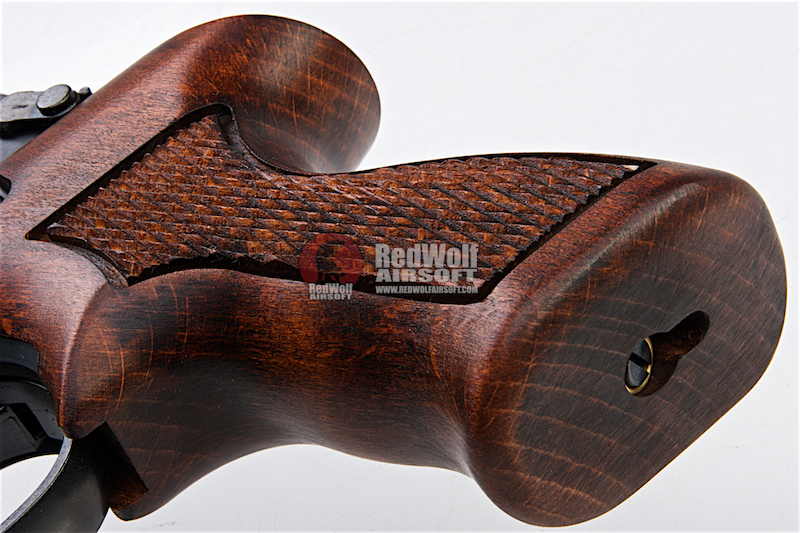 The Marushin Mateba is exactly like the real steel version when it comes to the way it functions. As peculiar as it is, it proves very useful. 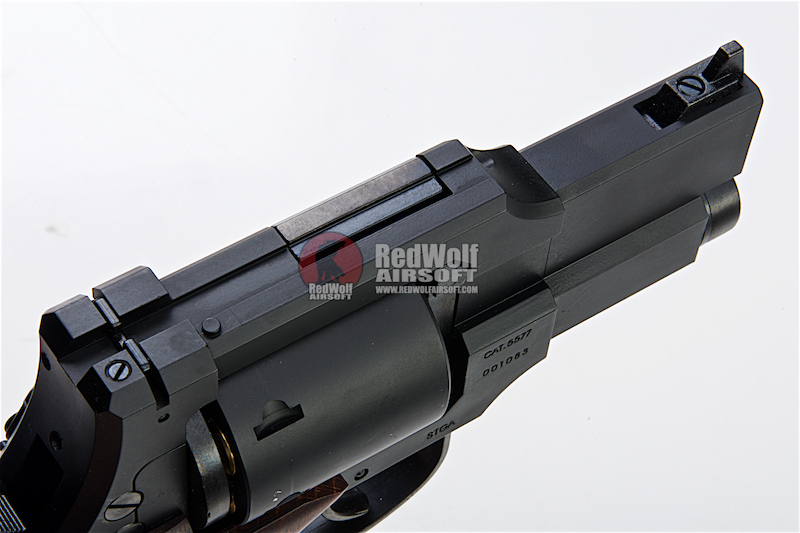 One thing you'll have to get used to is the sight alignment as the bore is along the lower frame. 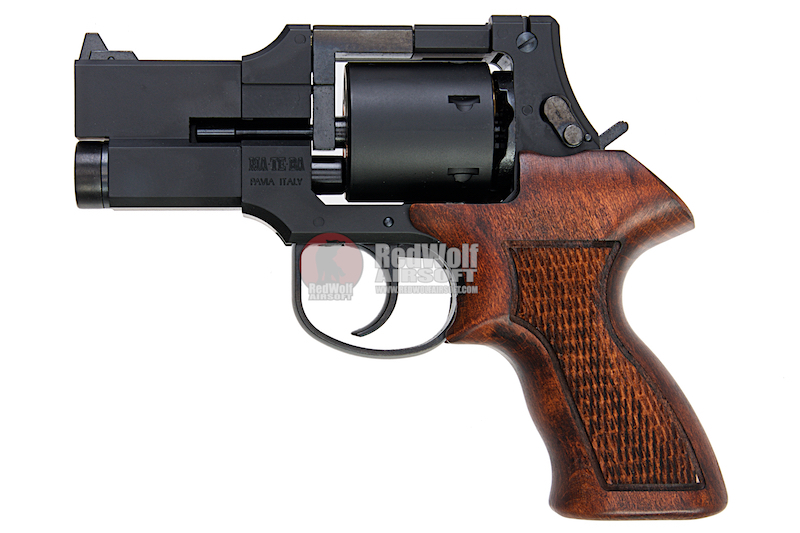 Unlike most Marushin revolvers, this one has a hop up adjustment point which is easy accessible. You'll find it on the upper part of the frame, half way down the gun. All you need to do is a use a hex key to adjust it. The strange looking Mateba can be found in a anime series called Ghost In Shell. 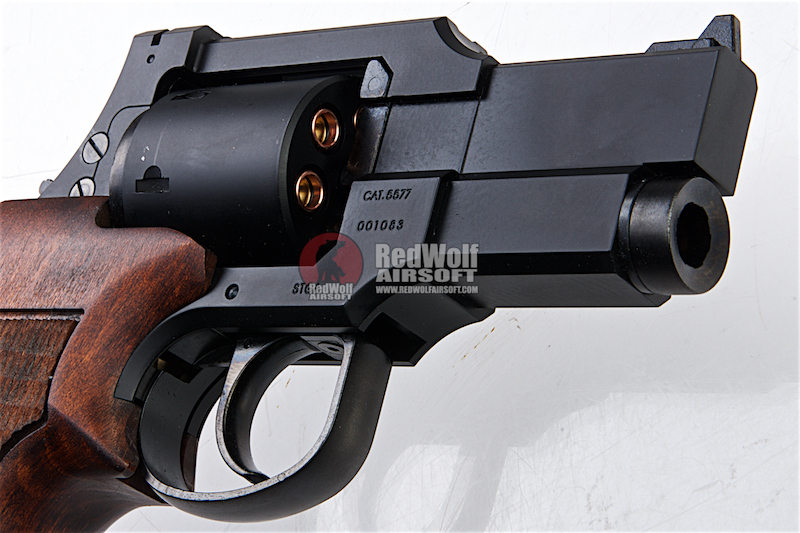 It's one of those pistols that looks unique and different from the others which is why it is so well known, making it a perfect anime prop gun! 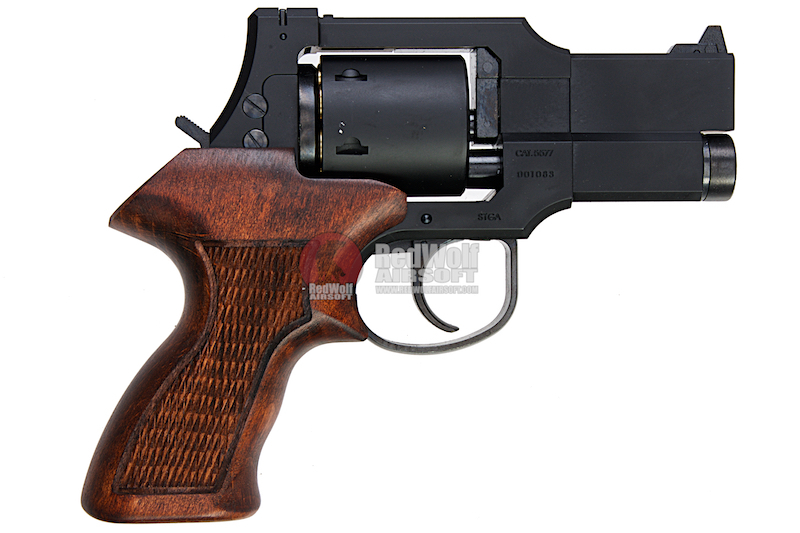 To all the cosplayers that love the Ghost In Shell series, you will absolutely LOVE the Marushin Mateba revolver. 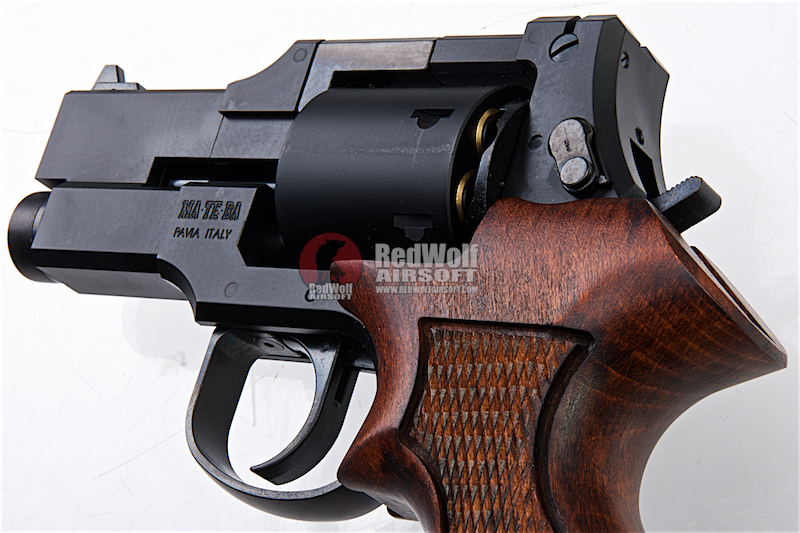 The Mateba is a very solid revolver made of a heavyweight plastic giving it a bit of heft. 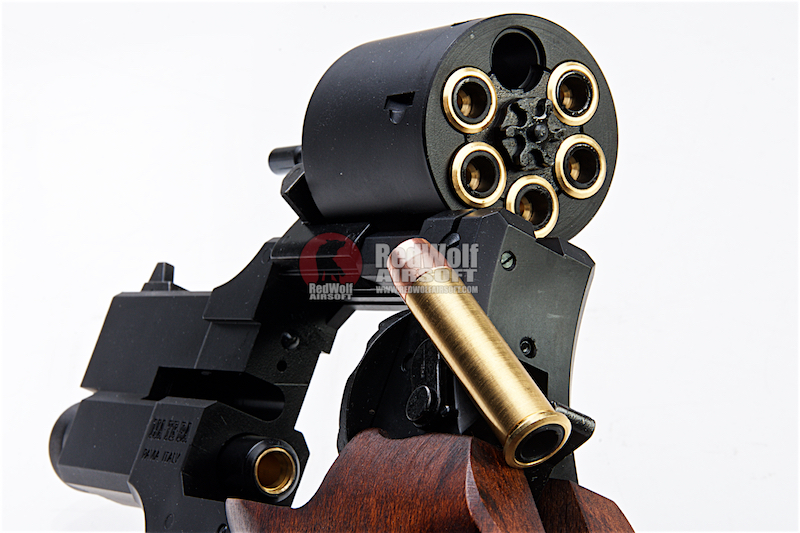 x1 Marushin Mateba Revolver 6mm X-Cartridge Series 3 inch Matt Black.